HAI 2015 will be held in Daegu, South Korea on October 21-24, 2015. We have prepared a pdf of tours, access guides, maps, and a card in Korean that can be shown to taxi drivers to get you to the university. 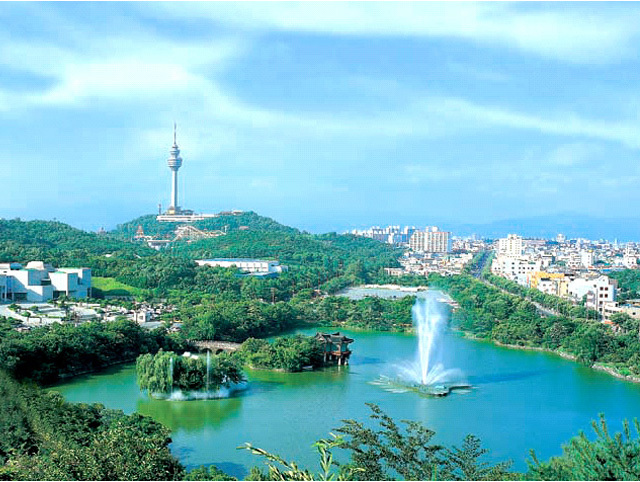 Daegu is the third largest city in Korea surrounded by 6 UNESCO world heritage sites. the tour program, please visit the tours page and sign up for the tour! The conference venue will be Kyungpook National University (Global Plaza). 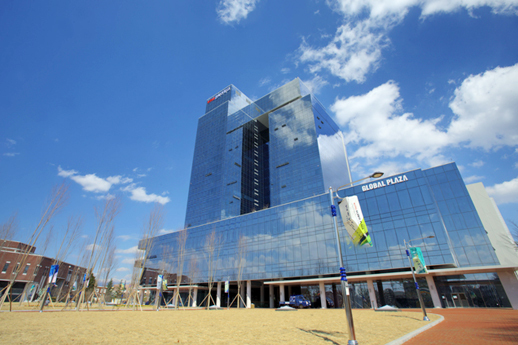 Global Plaza is a new landmark of Kyungpook national university. Kyungpook National University is one of the most prestigious Korean national universities along with Seoul National University. 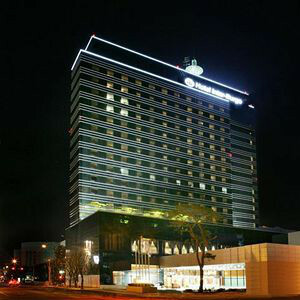 It is located in the Daegu Metropolitan City, which is the capital city of the Kyungpook Province, South Korea. In 2012, KNU opened the KNU Global Plaza for a professional engagement, such as knowledge / technology exchange between KNU and industry, and for domestic and international events / conferences. It has 17 floors, and its office rooms and facilities on 8th to 15th floors are currently occupied by more than 50 research institutes and centres. We have an attendee information package that may help you get to Daegu and the campus. In it are a few maps, airport access information, and a card that can be shown to taxi drivers that tells them to take you to the university. Korea can be reached from just about every major city in the world, either through direct flights or by connecting flights at any major East Asian cites. Korea’s excellent transportation network, which includes domestic airlines, highways and rail service, will make sure that all participants of HAI 2015 arrive on time. Located at the center of the southeast region of the Korean Peninsula, Daegu is about 300km southeast of Seoul. From Seoul Railway Station, visitors can easily take a KTX (Korea Train Express) to Daegu. This information will be added shortly. Please check back later. 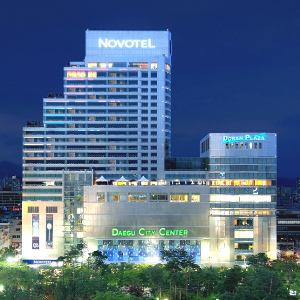 Ideally located in the centre of the business and entertainment district, directly connected to shopping malls and the subway, Novotel Ambassador Daegu is the first international hotel in the city. The 203 spacious rooms and suites offer guests modern facilities and city views. 10 mins from Kyungpook National university by car. Located in front of EXCO, it is a remarkable hotel equipped with a variety of business, banquet, and other facilities. It provides all the facilities that you need such as comfortable rooms, a health club, hairdressers, coffee shop, various banquet halls, restaurants, and sky lounges. 4 UNESCO designated world heritage sites are located near Daegu. Please check our tour information package for information on the tours of some things you can do in Korea.